Looking for a quick way to clean up your oily or problem skin? 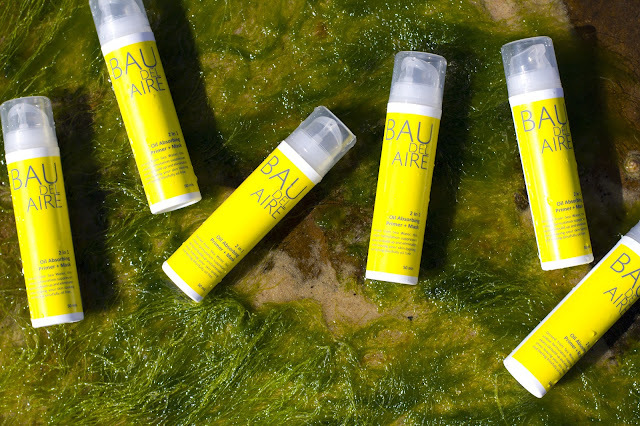 Check out Baudelaire, a 2 in 1 product designed to "treat the cause of greasy skin and clogged pores by reducing excess oil production." Founded by Australian designer and entrepreneur, Kimberly Baudelaire, Baudelaire recently launched in the U.S. 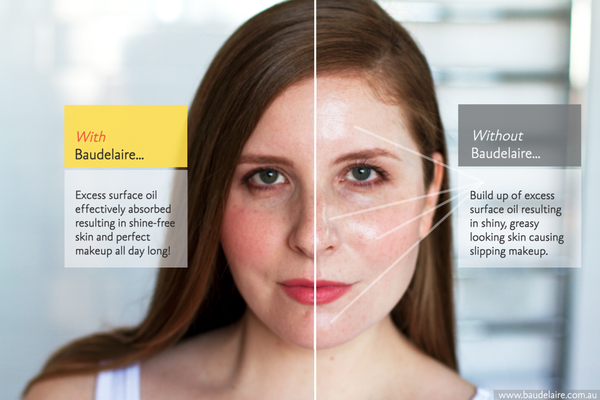 While the product is coined as a 2 in 1 Oil Absorbing Primer + Mask, Baudelaire can actually be used three ways. Three times per week keeps the oil level balanced leaving skin feeling grease free yet not dehydrated. Everyday as an overnight spot treatment till the blemish clears. Though you may think the product feels a bit sticky as you apply (I used my fingers), as a primer, makeup goes on simply and smoothly. And as an acne treatment, note that a little goes a long way ... you don't need to push much out of the pump to cover the blemish you wish to remove. 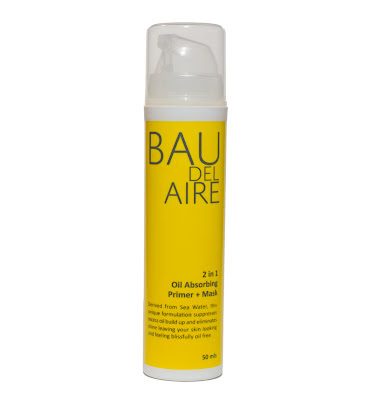 I find Baudelaire particularly useful for getting rid of problem skin areas. As a busy college student, normal skin care routines often get left behind. In turn, my skin is prone to breaking out when I'm super stressed. I like the ease of applying just a little bit of Baudelaire to each blemish that comes my way. The ability to treat the spot overnight makes it a much more realistic for my on-the-go lifestyle. 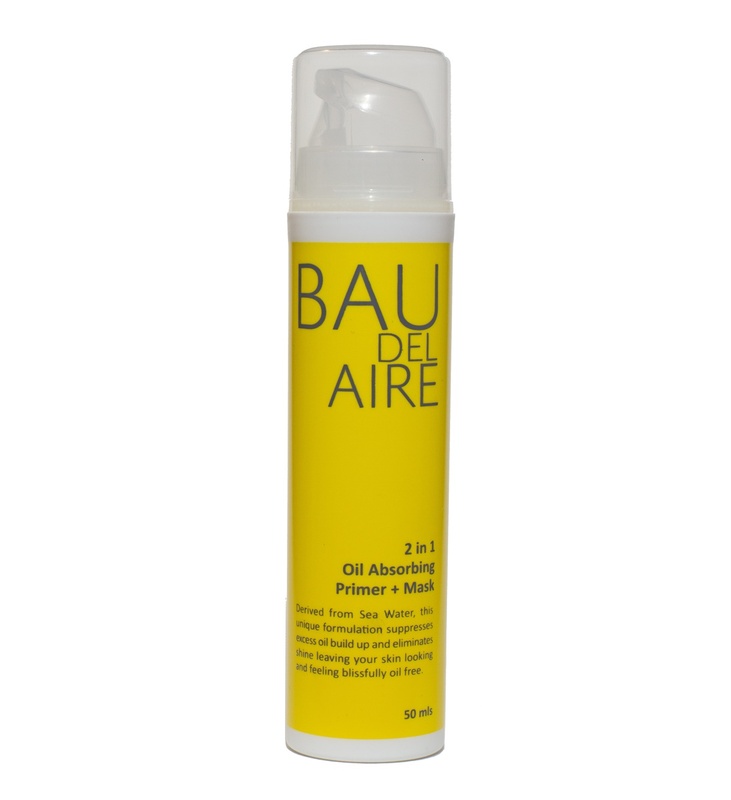 Lucky for you, College Gloss has partnered with Baudelaire to give one reader a bottle of the 2 in 1 Oil Absorbing Primer + Mask, retailing at $18. All you have to do to enter is "like" College Gloss on Facebook and comment below with your name and email address. Check out Baudelaire Skin Care's YouTube page for additional tutorials. A 2 in 1 primer and mask which significantly absorbs excess oil build up and eliminates shine leaving your skin looking and feeling blissfully oil free. Anyone with oily skin who wants to reduce the build up of excess oil on the surface of their skin. Great for men too! Using the breakthrough ingredient Magnesium Hydroxide, derived from sea water, this primer and quick and easy 10 minute mask can be used several times a week. The oil absorption quality is long lasting. When used as a primer it will prevent makeup from slipping all day. When used as an intensive oil absorbing mask it will reduce oiliness all day. The reduction in oil build up on the surface of the skin allows you the confidence to get through your day without worrying about embarrassing greasy, shiny skin. Primer - After cleansing apply sparingly using a makeup brush, sponge or fingertips over the areas of your face prone to excess oil, avoiding the eye area. Follow with your regular makeup routine. Mask - After cleansing, apply a generous layer using a makeup brush, sponge or fingertips over the areas of your face prone to excess oil, avoiding the eye area. Leave for 10-15 minutes then rinse with warm water. Follow with your regular skin care routine. I've never heard of this product but it sounds great! I would LOVE to try this product before buying! CollegeGloss is awesome! LOVE your blog/Facebook page! I’m definitely excited about this product!! !